Skiles grabbed his share of legend as a high school player for leading Plymouth to the state championship in 1983. 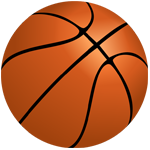 It was the tournament’s best Cinderella story since Milan in 1954. He scored 60 points in the two games on the final day, including 39 in the championship game, when he hit a long jumper that forced overtime. You would swear it curved into the basket. 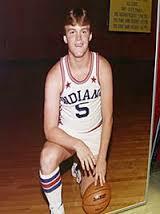 Bob Knight didn’t recruit him to IU, which suited Skiles just fine. He would have gone to Purdue, but an assistant coach (Clarence Glover) sent him a letter telling him they were no longer recruiting him, without head coach Gene Keady knowing it. Skiles had participated in Keady’s camp while ill, and therefore played below his norm, prompting Glover to believe he wasn’t Big Ten material. Keady tried to patch it up, but it was too late. Skiles went on to become one of the Big Ten’s all-time great villains, booed in every opposing arena because of his cocky demeanor, not to mention his talent. Example: After Michigan’s pudgy guard Antoine Joubert had guaranteed a win over Michigan State, Skiles walked up to him before tipoff and said, “Show me what you got, fat boy.” And then went out and scored 33 points to lead an MSU victory. He was the Big Ten’s MVP his senior season, when he averaged 27.4 points per game. He later played for the Pacers, but was left unprotected in the expansion draft and was claimed by Orlando. He offered a rebuttal to the Pacers on Jan. 17, 1992, when he dropped 41 points, nine assists and plenty of trash talk on them at Market Square Arena in an Orlando victory. You’ll hear about that here, too. He had set the league assist record with 30 in December of 1990, (watch it here) and went on to be named the NBA’s Most Improved Player that season. I believe great passers are the game’s most entertaining players, and Skiles was a great passer. He didn’t lack for confidence. I recall going with him to a pro-am game in Indy one summer before his first season with the Pacers, a game featuring good-but-not-great college players, mostly. He scored 50-some points. Afterward, I said it was too bad it wasn’t going to be that easy with the Pacers. “Maybe it will be,” he said. Skiles is a lot like Larry Bird: an honest, ego-free, ultra-competitive and slightly edgy personality who played an intellectual game of basketball. Like Bird, he’s a great interview because of his blunt nature. We conducted this one over the telephone, during his coaching career in Milwaukee.